Open up the store on your smartphone and enter a search for "messaging apps;" you'll quickly be greeted by dozens, if not hundreds, of applications designed specifically to help you communicated with others via text. There are scores of SMS (Short Message Service) and MMS (Multimedia Messaging Service) apps created to let you send text and picture messages to other cellphones using your carrier's cellular network, as well as a plethora of instant messaging apps. 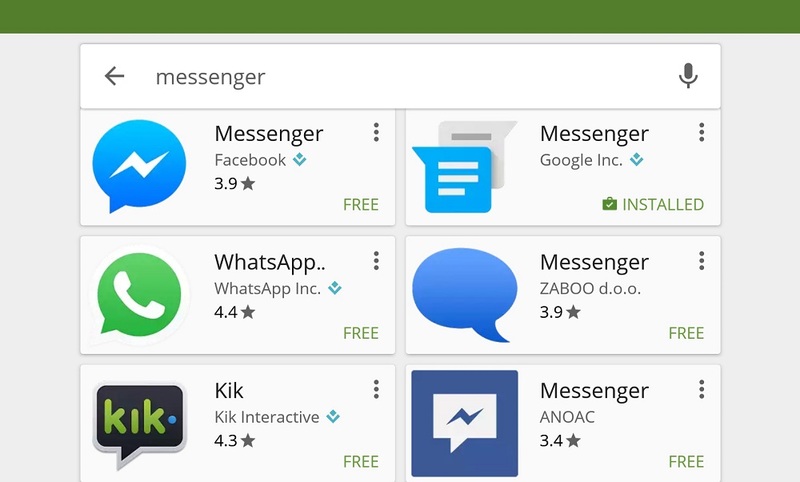 Facebook's Messenger app received over a billion downloads after the company removed built-in messaging functionality from its primary app. Snapchat quickly rose to prominence when it introduced "self-destructing" photo messages, and Blackberry's once ubiquitous BBM is still alive and kicking, now an app available for Android, Windows Phone, and iOS devices. Both Google and Apple have their own text-based communication programs in the form of Google Hangouts and iMessage, and even Microsoft's popular video-messenger, Skype, has integrated instant messaging services. In fact, some of these apps can do it all, offering video chat, instant messaging, and text message options all wrapped up in one convenient package. 911 texting services are not currently available on Long Island. For all the countless ways we have to chat with one another, however, most law enforcement agencies in the country are lagging behind the march of modern technology. Though in August of 2014 the FCC adopted an order requiring all wireless carriers to deliver text messages to emergency call centers–otherwise known as Public Safety Answering Points (PSAPs)–the call centers themselves have been slow to adopt the technology that would allow them to communicate via text. Fewer than a third of New York's 62 counties have implemented 911 texting services in their PSAPS, with Nassau County, Suffolk County, and all of New York City being among the 42 that have not. Following the tragic Orlando terror attack this past June, Senator Chuck Schumer called to expand 911 texting services throughout New York and the country, noting that in some emergencies it can actually be safer to text than to call an emergency dispatcher and have to communicate audibly. "Some of the first facts we learned about Orlando were generated via a text message to a loved one. These texts did what the voice could not in that instance—communicate," he said. "When there’s an emergency, we should be using text messaging to save lives by informing 911 dispatchers of critical details that can guide first responders." Schumer added that communication via text would also help those with disabilities who cannot physically speak to dispatchers over the phone. There are many ways users can communicate with each other using a smartphone. Recognizing a need to bridge the gap between the changing means through which people use their phones and the technology that is actually in place at PSAPs, developers at TechCrunch's Disrupt NY Hackathon 2016 in Brooklyn created a chatbot app called 911bot. The bot, which works off of Facebook's Messenger, would allow users to quickly report an emergency through an image-based interface. As the user sends their report through 911bot, the app would also offer the ability to send additional media such as photos or video, or it can offer advice to the user on how to handle their current situation while they wait for help. After the app has collected data from the user, including his or her phone number and the nature of the emergency, 911bot places a phone call to the local PSAP using an automated voice, alerting authorities to the user's distress without the need for him or her to speak on the phone or for the dispatcher to communicate via text. While 911bot is still currently in the testing phases of development it has already earned praise for its innovation. Attorneys from the Long Island-based Law Office of Cohen and Jaffe said "One of the biggest challenges for law enforcement and emergency workers during a crisis is information collection. Injured or at-risk parties usually spend minutes of precious time waiting on the phone to get information to the correct people so that aid can be dispatched," adding that 911bot "will make reporting and contacting authorities easier and more streamlined." Perhaps the greatest potential benefit to an app like 911bot is that it will be able to use a cellphone's own GPS and location services to pinpoint exactly where a person in an emergency situation is, and convey that information to PSAP dispatchers. While apps from Facebook to Pokémon Go have no trouble determining where their users are, even PSAPs with texting capabilities largely lack that ability to trace a text or phone call from a cellphone in the same way that they can a call from a landline. For this reason, among others, the FCC's guidelines for using 911 texting actually suggest those in an emergency still call rather than text 911 unless necessary, stating that "in most cases when you text 911 from a wireless phone, the call taker will not receive... an accurate address or location." Calling from a cellphone will provide dispatchers with a more accurate idea of where the emergency may be than would texting, but that still has its limits. According to the FCC "While the location of the cell site closest to the 911 caller may provide a general indication of the caller's location, that information is not always specific enough for rescue personnel to deliver assistance to the caller quickly." An app like 911bot, which can determine the user's actual location rather than the nearest cell tower to which their phone has connected, and share that vital piece of information would save lives.